Sonic Robo Blast 2 (SRB2) will have given a new extension to the world, a complete kart game (20 official cards, a hundred in all) playable alone or with others. 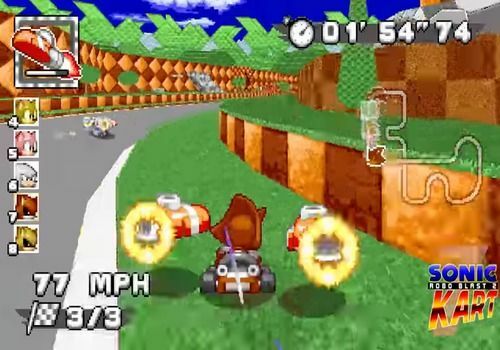 The principle remains inherent to any good crazy karting game, namely to get there first whatever the cost, if possible with the help of the bonuses that are all over the course. There are two game modes available to you: Race or Battle, each of which offers different victory conditions but the same playability. To learn more about the SRB2 mod, the developers maintain a well developed forum, where everyone can post their creations. We still advise you to start with this Sonic Robo Blast 2 Kart that you will have trouble letting go.